I’m sitting at my desk in Olympia answering email, mostly about the budget. Lots of people are writing in about different subjects, but all have the same theme – protect MY program. This is pretty interesting and useful data, but it’s hard to make decisions based on it. For example, I get a lot of mail about preserving “gifted education”. The state sends out tens of millions in this category every year, with an equal amount going to every district based on student population. State funding makes up about 15% of what is spent in this area every year, so 85% of the money is coming from local sources, mostly your local levies. The state budget line item is about $30 million per year, or about 0.3% of annual state school budgets. There are many other programs that distribute money the same way – evenly based on student count. Ever think about why we don’t just combine all of these small items into one single pot? Districts would have more flexibility in how to spend money and would have several fewer pages in the school accounting bible that they have to comply with. Districts are still going to run gifted programs because their parents want them – witness all the email I get. School board members get elected or unelected based on programs like this because the parents tend to be highly organized. The thing you can’t use this data for is figuring out the relative impact of a program on the community. For example bilingual education is hugely important to help kids who grow up in households that don’t speak English take advantage of our education system, but you don’t hear from their parents in email. Don’t get me wrong – I value the gifted program in the school districts I represent. My kids took advantage of enrichment in Bellevue and school would have been a poorer place for them without the extra stimulation. We should think about how to have these programs without making school budgets complex beyond belief and requiring local districts to do lots of compliance work. 2 Comments on "Answering Email"
When the legislature adopted HB 2261 in 2009 weren’t you saying that decided that gifted education IS basic education?? An education appropriate to their aptitude is just as important for kids who are at the high end of the academic spectrum as for kids with learning disabilities. While it’s true that the cost you just voted to strike from the budget is relatively small, the impact is significant. In Seattle, for example, the state money covers entrance testing — and without it the district has indicated that there will be no new students in the program. As you work through the tough budget choices, please remember that education funding directly forms our future. There is a documented relationship between education and economic growth — so it is critical to Washington’s economic future to ensure that all kids are educated in such a way that they may live up to their maximum potential. To ensure that all students have that opportunity, we have to provide skill/developmental appropriate education for the entire spectrum of children’s needs. In this difficult fiscal environment, it may seem tempting to cut programs that support the needs of kids who perform at the higher end of the spectrum — but this would be short-sighted. And it is just plain against democratic principles to refuse to meet the educational needs of a particular group, no matter how small. Thank you for all your hard work as in the legislature, without a good education I’m sure you would find it quite difficult to resolve complex issues. Please re-consider your thinking about eliminating funding for gifted education. Thank you! I’m the President of the Academic Booster Club of Puyallup, the parent organization for families of highly capable students in the Puyallup School District. I also had the privilege of serving on the State’s Highly Capable Technical Working Group. I completely agree that highly capable progamming needs to be a part of the state’s approach to basic education. There are highly capable students in every district in the state, but currently only about 2/3rds of those districts apply for and receive state funding. We need to make sure that highly capable programming is available to all who qualify, not just those who happen to live in the right district. I’m puzzled, however, by the funding numbers you cite. You write that the state spends $30 million annually on highly capable programming. The state budgeted $18.3 million for the two year period from 2009 – 2011, and as not all districts apply for funding, will actually spend less than that. The state funds up to 2.314% of a district population; local districts supplement that and serve on average about 5% of total enrollment (about 50,000 students in the most recent state report). 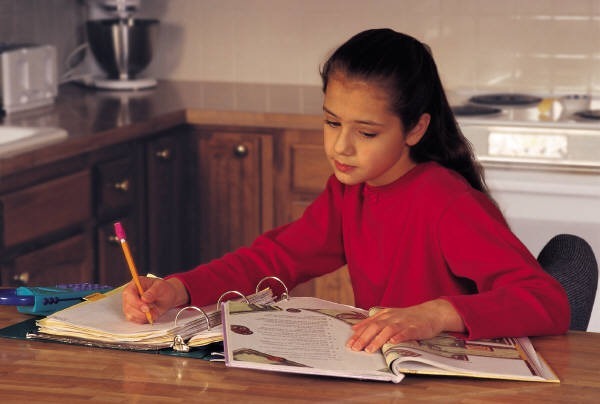 Nationally, about 10% of students participate in gifted programming. If we’re going to treat this program as part of basic education, as we should, it’s important that we provide the funding necessary to reach all the students — regardless of their cultural and linguistic groups, their socio-economic status, or their possible disabling conditions — who need this programming.